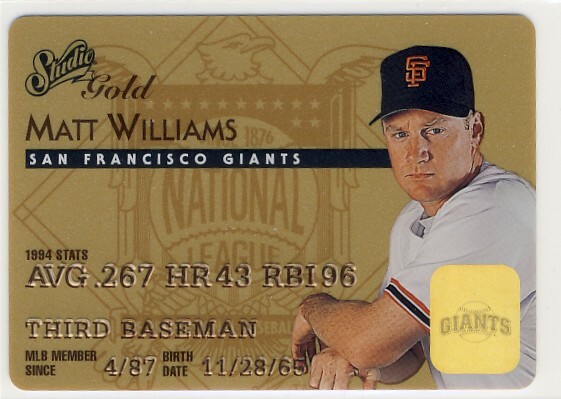 When someone gets around to making the list of best insert set these Studio Gold Credit Cards have to be included. 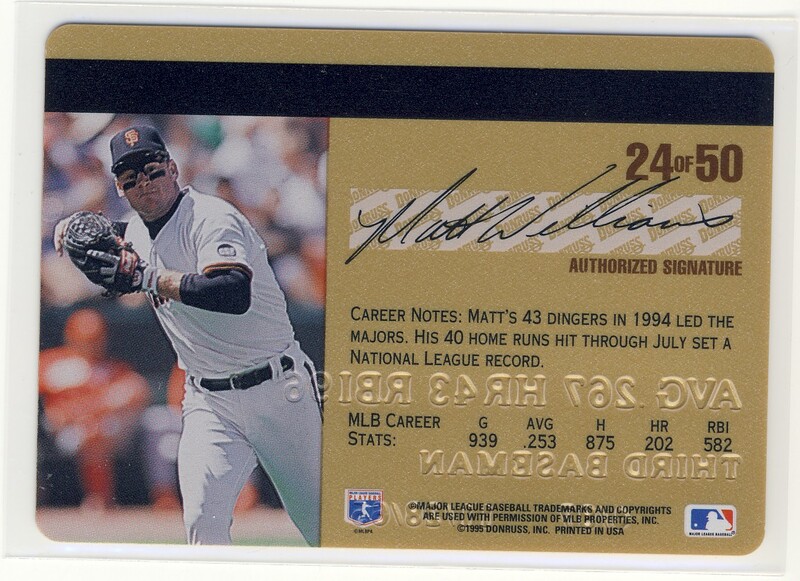 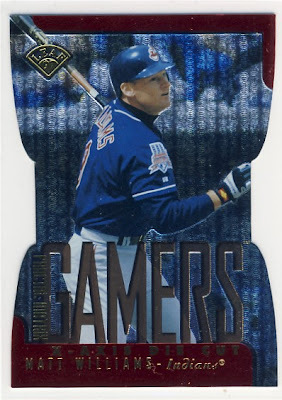 The lettering on the card is raised just as on a real credit card and the Giants hologram is a great touch. 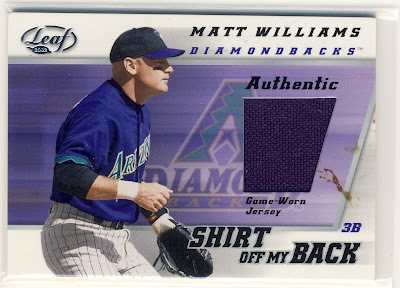 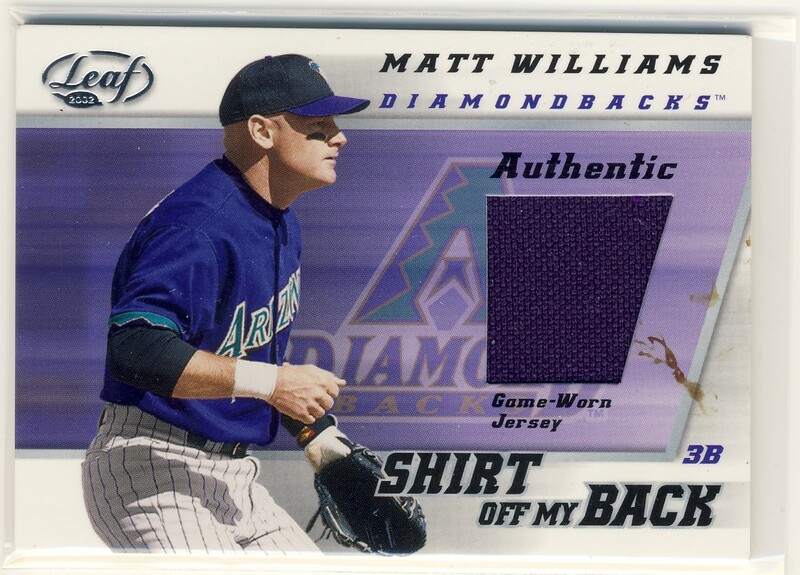 I believe that all jersey relics should at least be this size...I bought this card sight unseen and so I was a little surprised to see the stain that is on the card and in person it almost looks purple and so at least it's color coordinated. 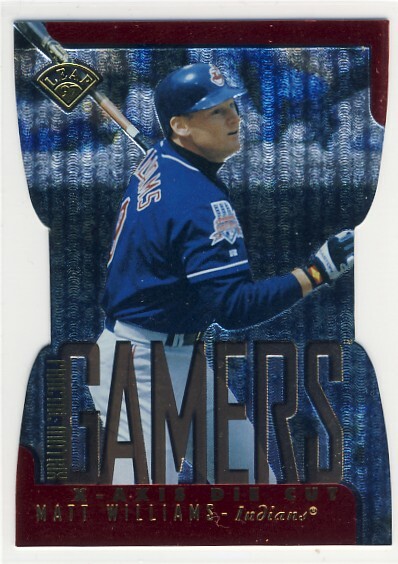 I'm a sucker for die cut cards as well...which is the main reason I was just about the only person to enjoy the Upper Deck X sets [that and the shiny Xponential insert cards].